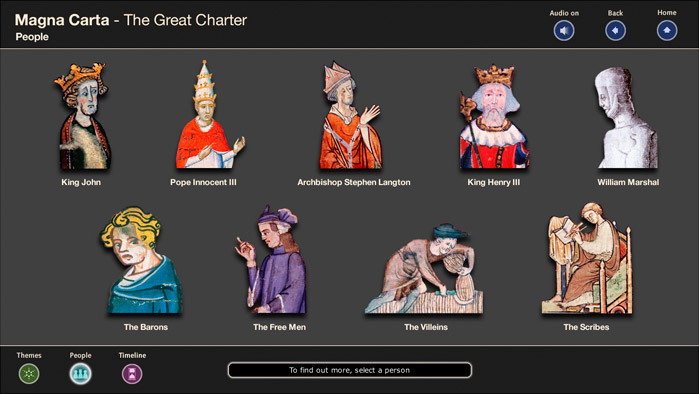 The Magna Carta is a difficult document to explain. We built a sophisticated kiosk and companion website to help unravel it’s secrets, and help visitors find out what it was really about. 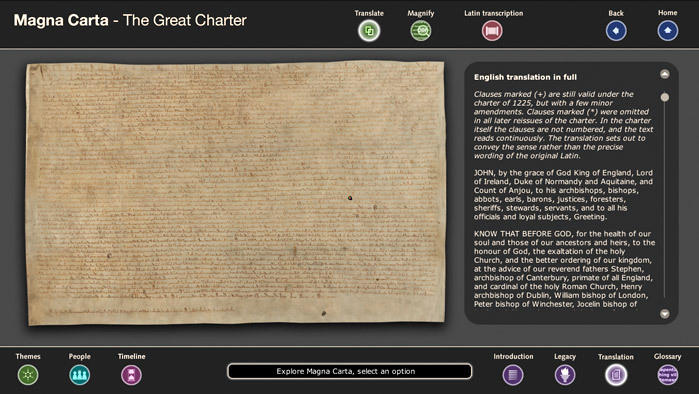 An array of HD animations, voiceovers and translation tools help users understand what might otherwise be a very opaque document.